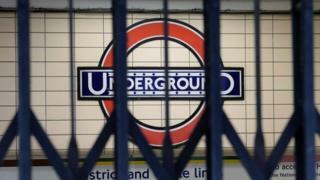 A 24-hour strike by London Underground (LU) drivers which was due to take place on Thursday has been called off. Aslef union members were due to walkout at midnight in a dispute over working conditions. Union representative Finn Brennan said "sufficient progress" had been made during talks for the planned industrial action to be suspended. Transport bosses had warned the strike would cause "significant disruption" with no service on most routes. A separate rail strike by RMT union members at Southern, Merseyrail, Arriva Rail North and Greater Anglia on Thursday over the scrapping of guards is still set to cause disruption for commuters. Mr Brennan said he was "pleased" the strike could be called off, following a meeting chaired by the conciliation service Acas. But he also warned: "Our ballot remains live and we will not hesitate to call action in the future if needed to ensure all the commitments made are fully delivered." Aslef had accused bosses of failing on a commitment to give its members the opportunity to work a four-day week and reduce the number of weekend shifts. But LU's director of network operations Nigel Holness said it had "delivered on all our commitments to provide the best possible work-life balance for our staff". He added that Transport for London (TfL) would continue "to explore options that will further improve work-life balance for our staff". Mayor of London Sadiq Khan said he was "pleased" the strike had been suspended and that "discussions can continue without disruption". The Tube strike had been due to coincide with England's football match against Slovenia at Wembley Stadium. Additional National Express services and parking - which had been arranged in preparation for the strike - will remain in place, TfL has previously said.